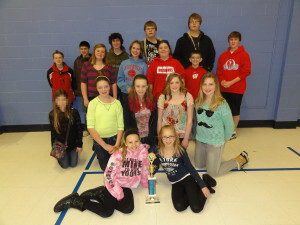 Mrs. Cull is the coach of the NLS forensics team. Students on the forensic team practice and develop different forms of communication including original oratory, prose and poetry reading, humorous and serious solos, group interpretation of literature, group acting and improvisation, persuasive and informative speaking, infomercials and speaking about moments in history. School forensics teams are aimed at helping students become better communicators and critical thinkers, skills necessary in the classroom, in the workplace, and in a democratic society. The forensic competition season runs from the first week in February to the end of March.